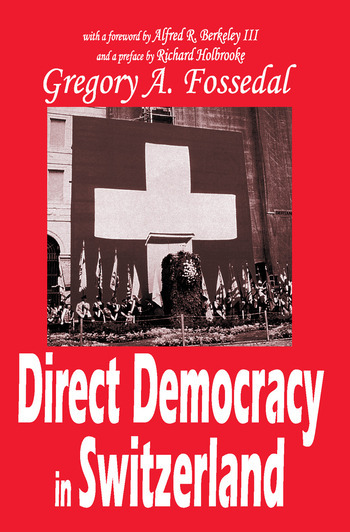 Only one country in the world--Switzerland--is a direct democracy, in which, to an extent, the people pass their own laws, judge the constitutionality of statutes, and even have written, in effect, their own constitution. In this propitious volume, Gregory Fossedal reports on the politics and social fabric of what James Bryce has called "the nation that has taken the democratic idea to its furthest extent." The lessons Fossedal presents, at a time of dissatisfaction with the role of money and privileged elites in many Western democracies, are at once timely and urgent.